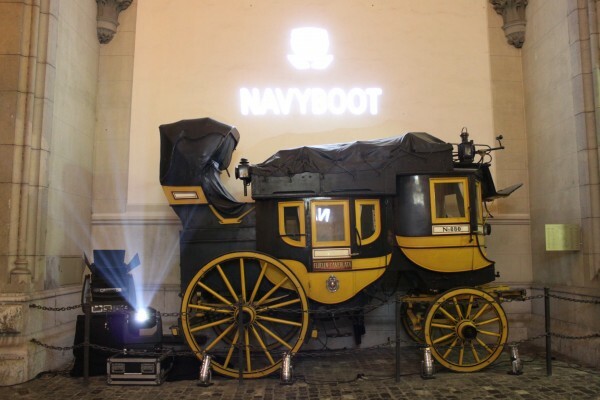 Yesterday, I attended a dinner party hosted by Navyboot and Andres Andrekson aka Stress to celebrate the launch of their first collaboration, so-called SBNB – STRESS by NAVYBOOT collection at the Swiss National Museum in Zurich which turned into an absolute hot spot last night. 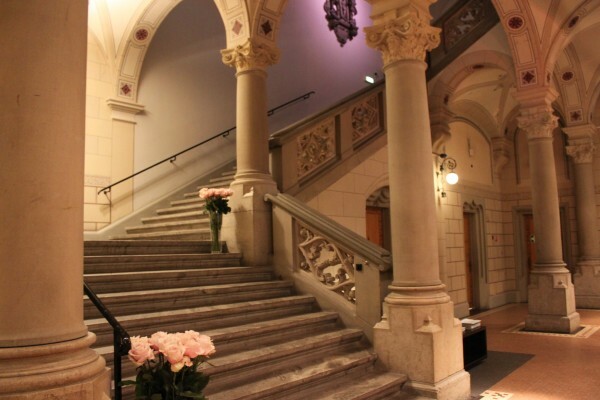 Among the small gathering of 60 guests, were Baschi, Bligg, Mousse T. and Jubaira Bachmann. The sneakers for men’s only (Adrian, we want them, too, especially the croc version!) 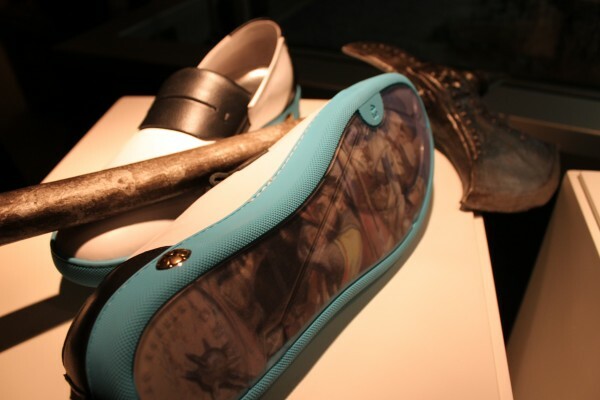 are inspired by the historic battle at Sempach in 1386 – a theme that has been reinterpreted for modern times and has been recreated as a picture on some of the models’ soles. The advertising campaign shot by Stefan Heinrichs has been staged as a modern version of the battle with Stress in the role of Arnold von Winkelried (see above). Just in time for the Christmas season starting in early December, they will be available at NAVYBOOT stores in Switzerland and Germany. 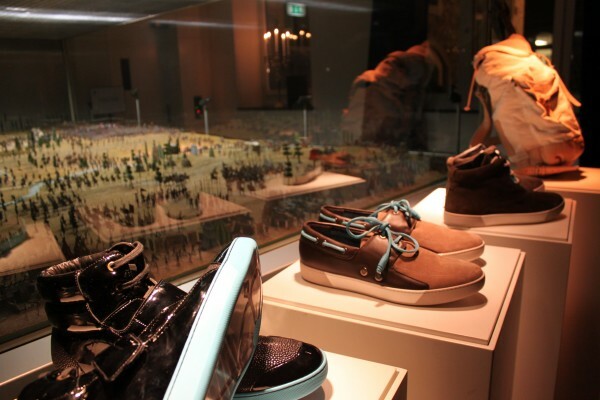 Prices will range from about 129 CHF for the flip flops to about 498 CHF for the high top sneaker. Lovely scenery at the entrance. 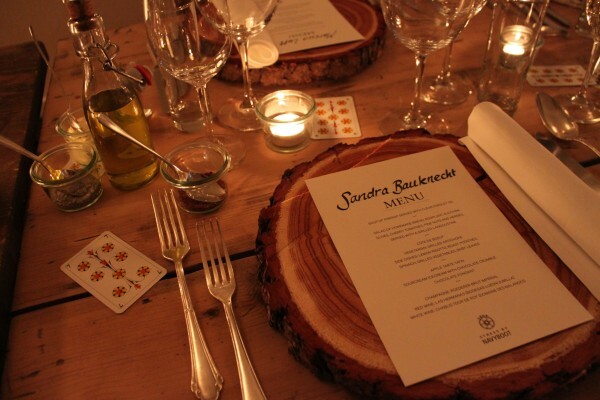 The yummy dinner was served on a rustic wooden table. Momo, Stress, Creative Director NAVYBOOT Adrian J. Margelist and DJ Mousse T with me. This foot below belongs to Navyboot’s Creative Director Adrian J. Margelist. 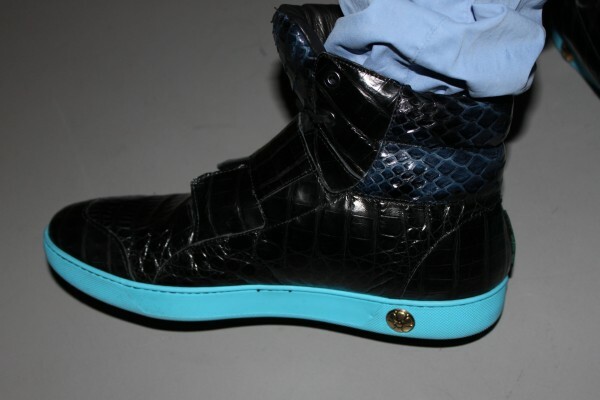 He and Stress are the only two having the croc-python version of the iconic sneakers. Today, the Blick magazine wrote an article about last night and named me one of the most important fashion bloggers! I am honoured, thank you, Flavia!